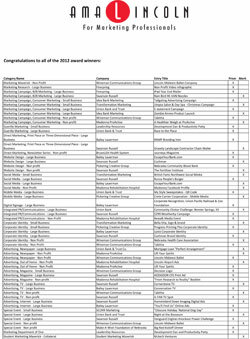 The PDF below lists all the 2012 winners. Congratulations! 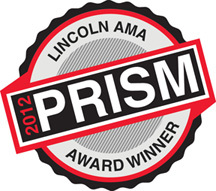 For more information about purchasing duplicate PRISM awards, please contact info@lincolnama.com. 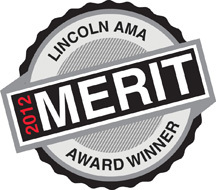 If you wish to use the logos below to promote your 2012 Prism or Merit recognition, please feel free to copy the appropriate logo and place it on your website, collateral materials, etc.